Golly gosh, doesn’t time fly when you’re having blogging fun? 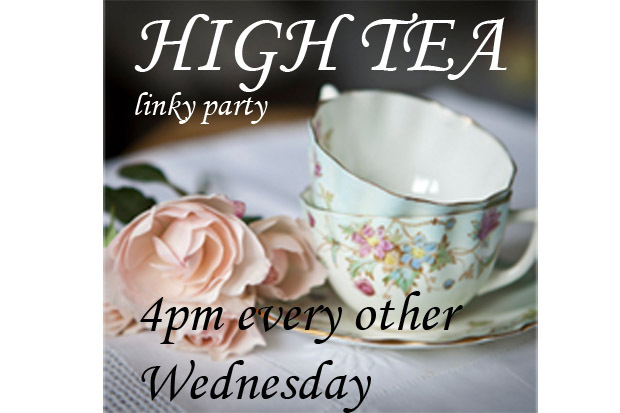 I can hardly believe it’s been two weeks since my last High Tea linky party. Thanks to everyone who came to take part on April 25th – we’re now on the third tea party and I can’t wait to see what you’ve got up to in the last fortnight. So, whether it’s an amazing teacup discovery at your local charity shop or a must-share recipe that you have to tell everyone about, link up your post here and have a merry old time. Stay classy and thanks for stopping by!